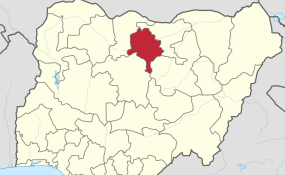 The Peoples Democratic Party (PDP) in Bauchi has won yesterday's governorship supplementary election held in 36 polling units across 15 local government areas of the State. The state returning officer, Prof. Muhammed Kyari announced that PDP polled 6,376 votes while the ruling All Progressives Congress (APC) scored 5,117. Already, Bala Muhammed of PDP had scored 469,512 while the incumbent Governor Muhammad Abubakar of APC got 465,453 votes in the main election before Tafawa Balewa local government area was declared inconclusive. In the rerun election, there were 21,737 registered voters with 12,109 accredited voters. But the total votes cast was 11, 971 while 403 were rejected. Summation of the results previously announced on March 10 and the rerun of March 23 scores gave APC total votes of 470,570 votes while the PDP polled 475,888 votes. The winner of the governorship election could not be declared as the result of one local government area is to be determined by court. The incumbent Governor had filed a case seeking cancellation of the Tafawa Balewa. The Federal High Court in Abuja is to hear the case tomorrow before the winner can be declared.